How Do I Use the Futures Markets? Why Should I Use the Futures Markets? Who Uses the Futures Markets? Click on one of the following links to learn more. Never hesitate to ask us a question here. How Do I use the Futures Market? 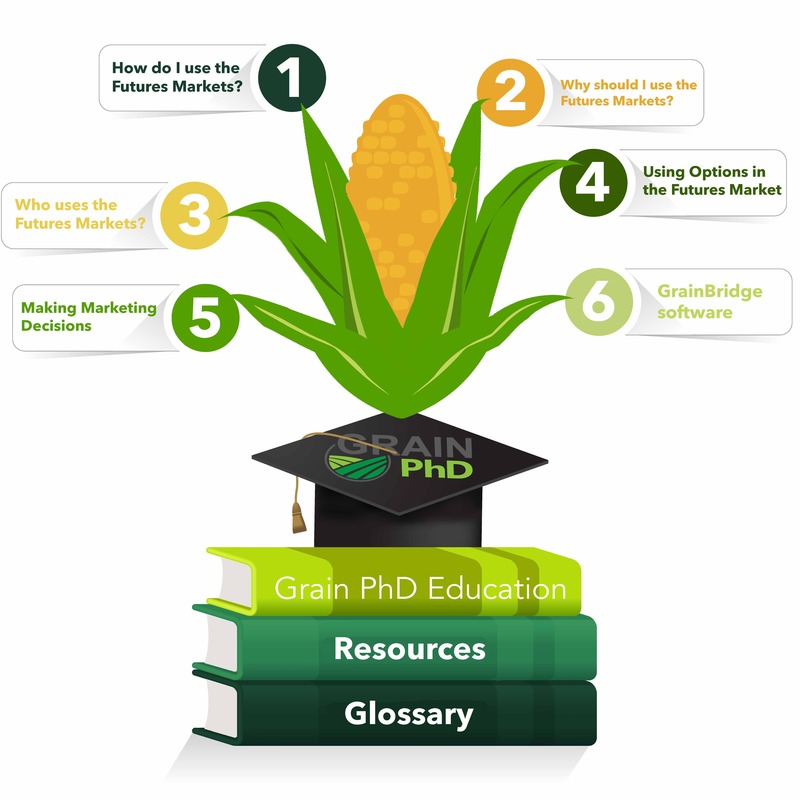 The information conveyed by Grain PhD, ADMIS or its affiliates to the audience is intended to be instructional and is not intended to direct marketing, hedging or pricing strategy or to guaranty or predict future events, including the pricing and pricing movements of commodities and commodity futures contracts.